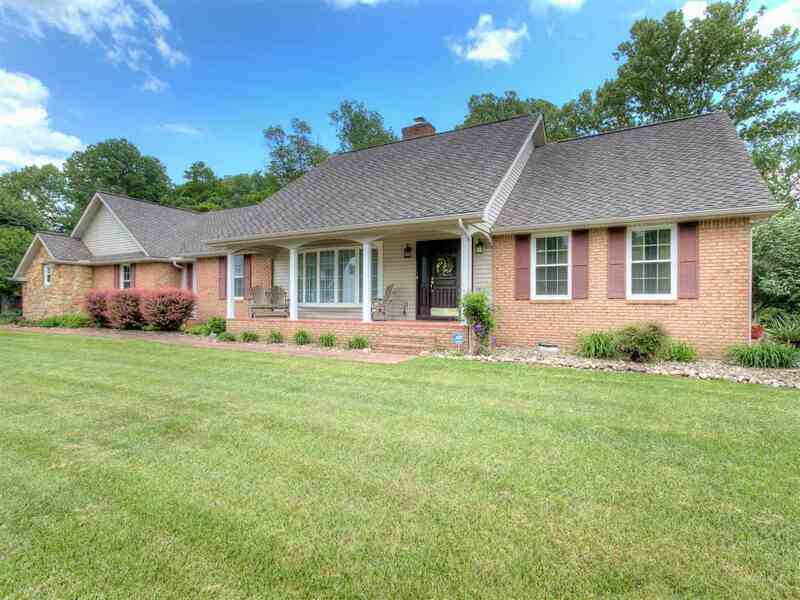 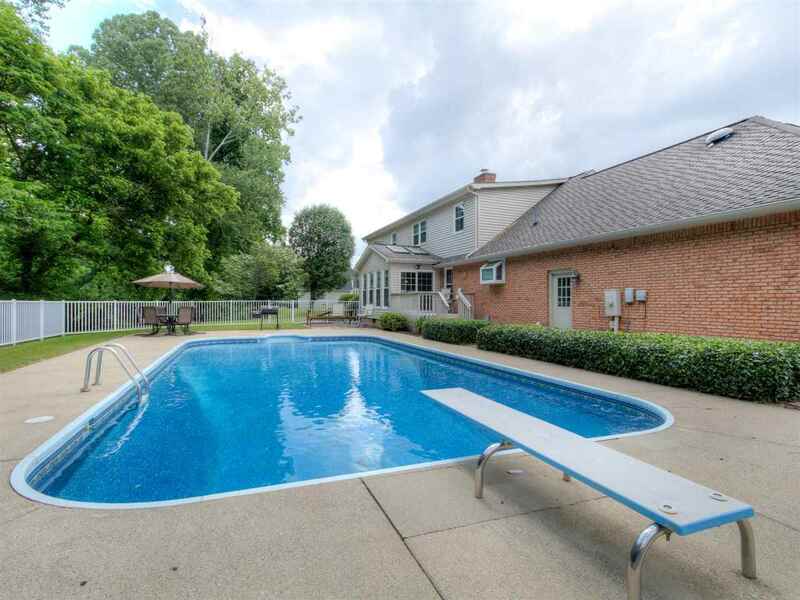 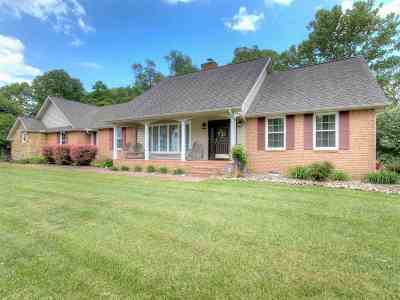 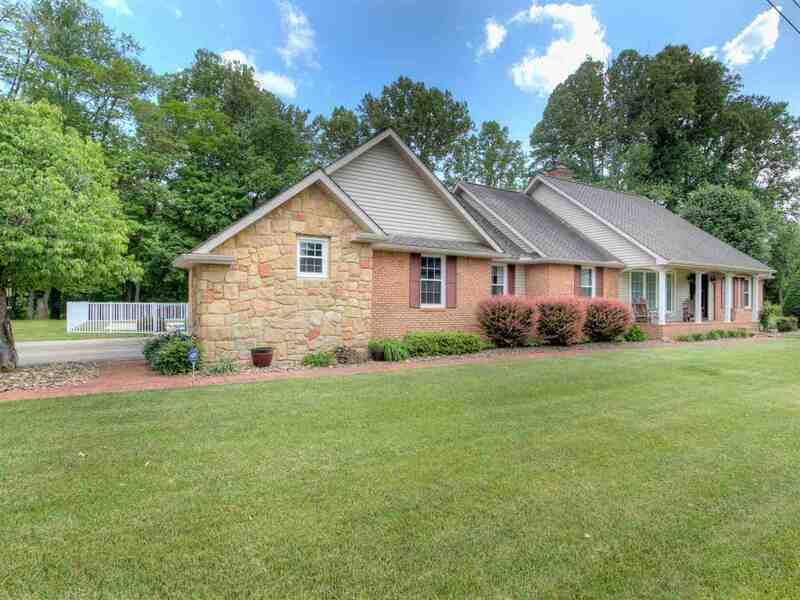 Beautiful, one and half story brick & stone home on 2 river front lots with an in-ground pool! 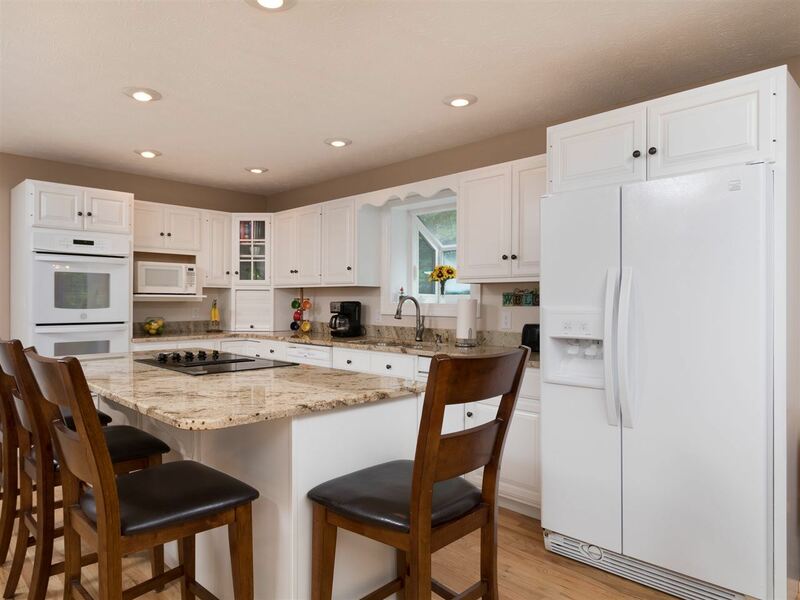 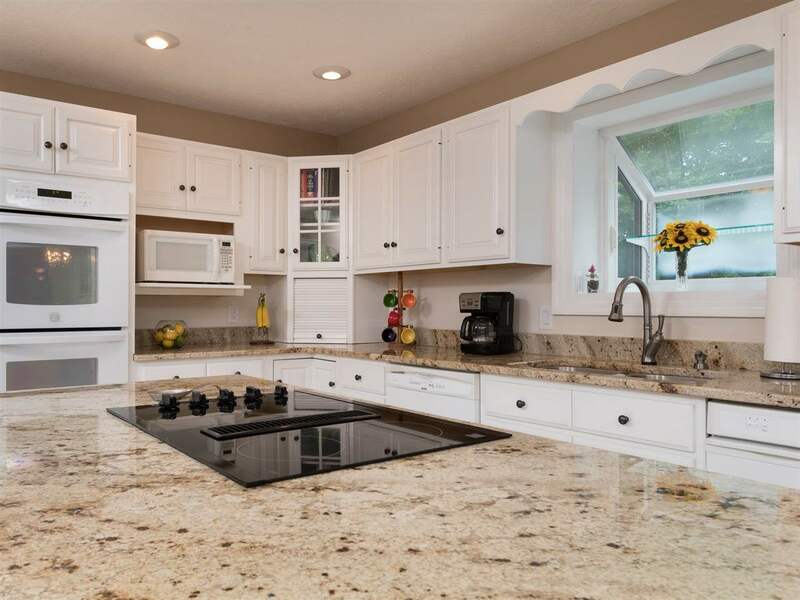 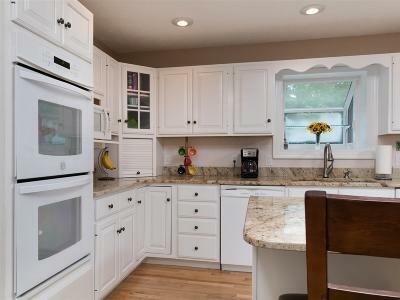 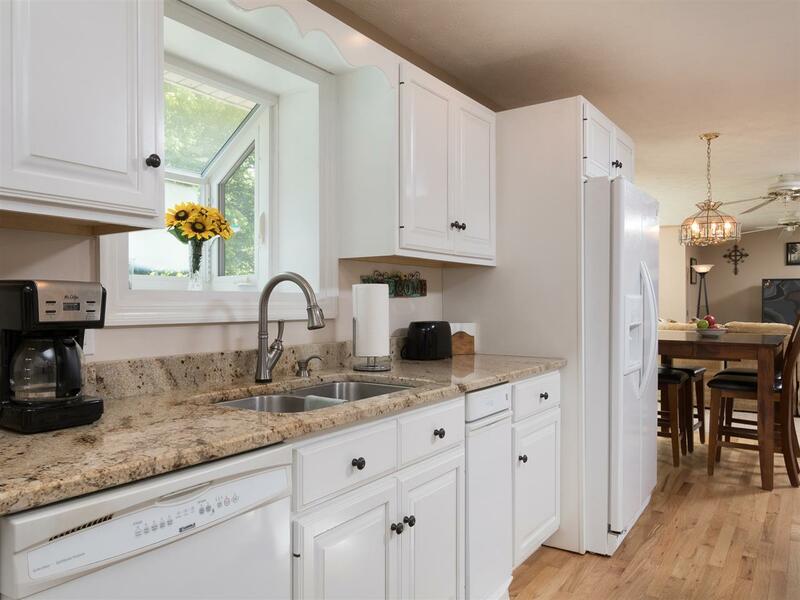 This home has so much to offer beginning with a gorgeous, appliance filled kitchen with hardwood flooring, granite counters, work island/breakfast bar, work station and nook. 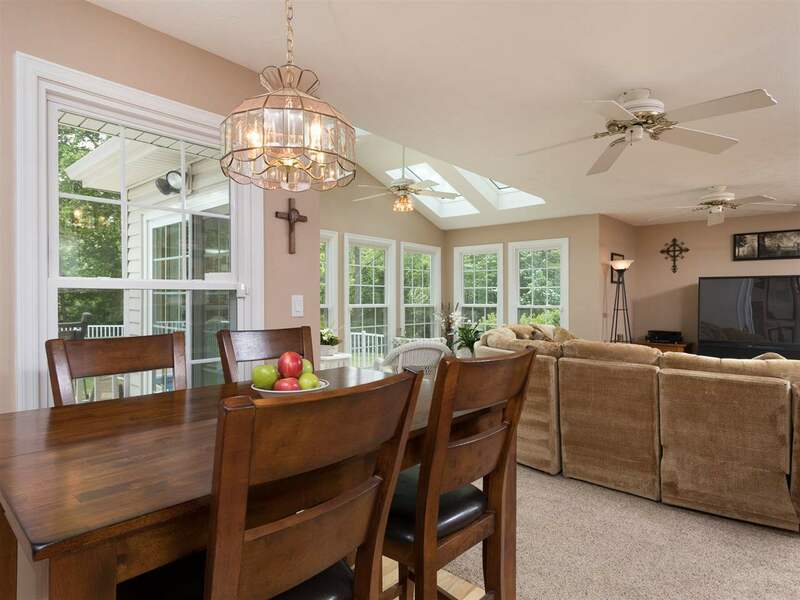 The kitchen is open to the inviting gathering room with with fireplace flanked with built-in cabinetry and an all seasons room with four skylights and a bank of windows overlooking the private backyard and sparkling pool. 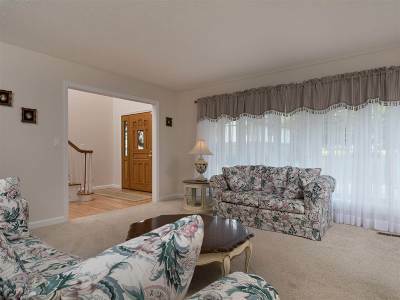 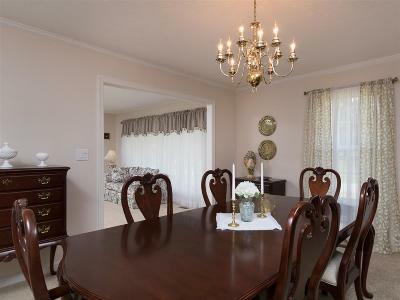 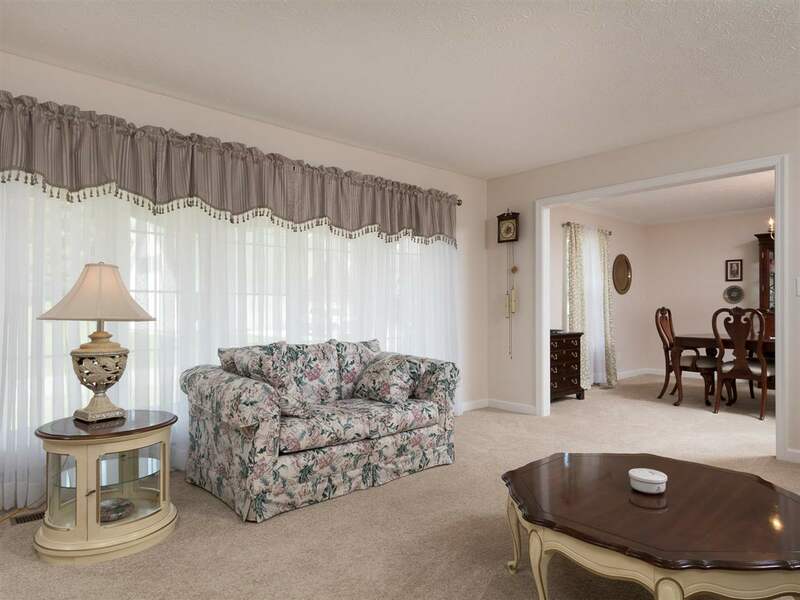 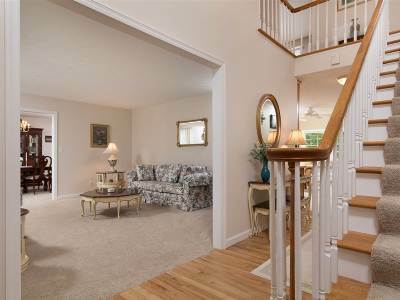 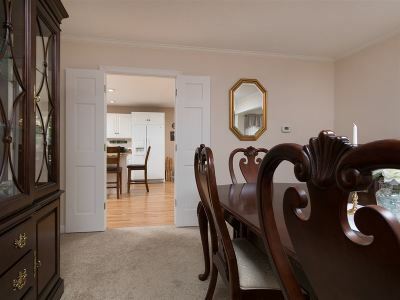 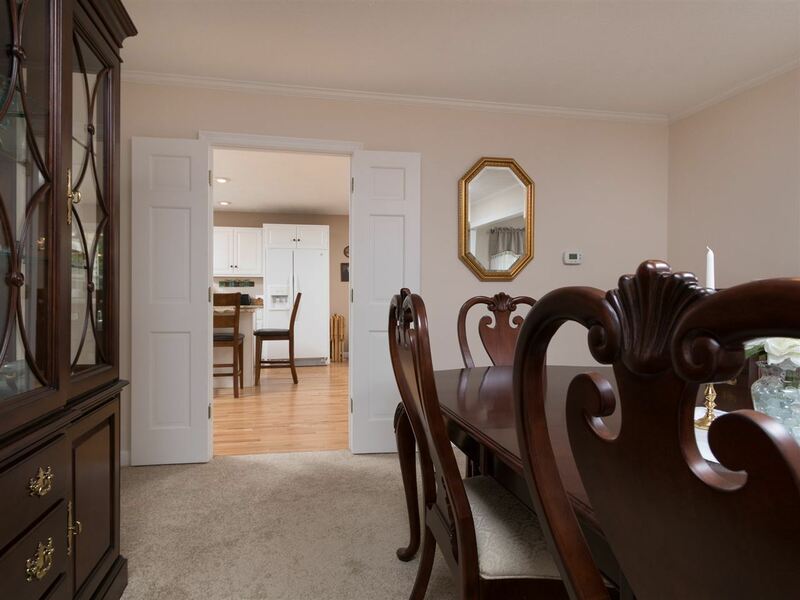 Spacious formal living room and dining rooms. 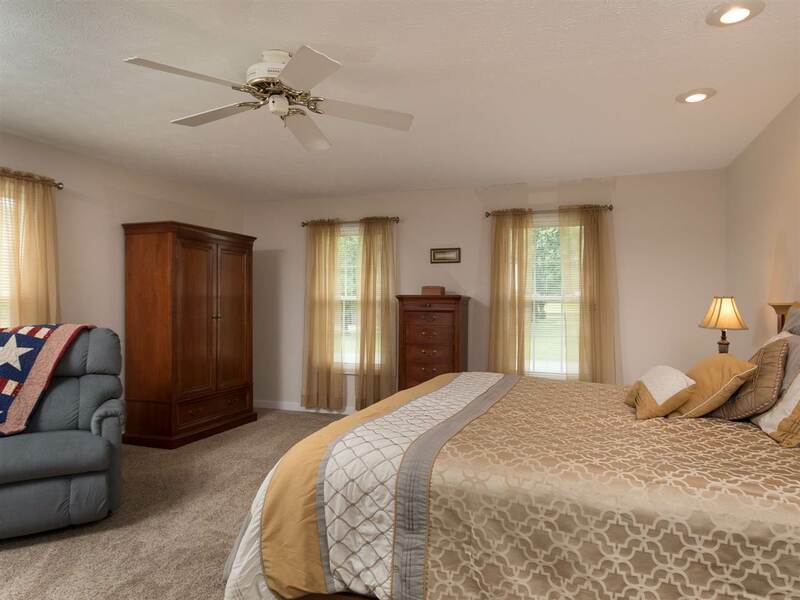 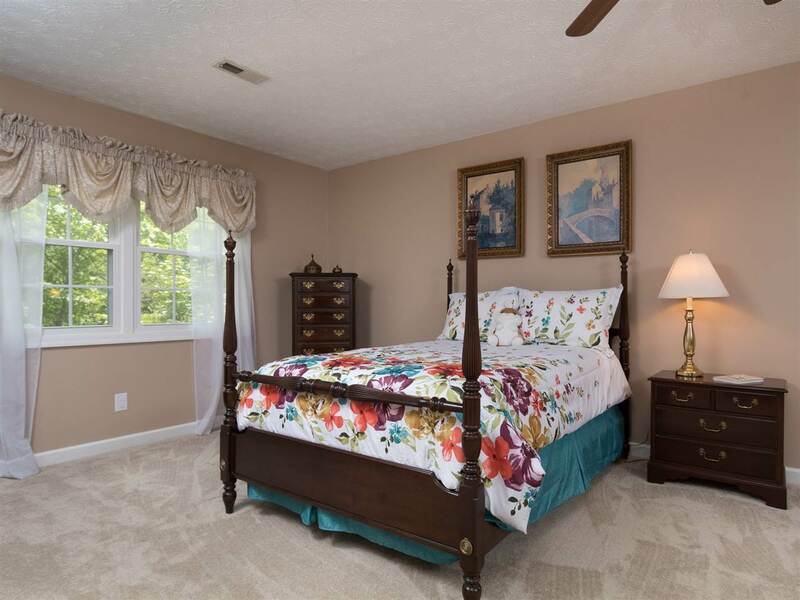 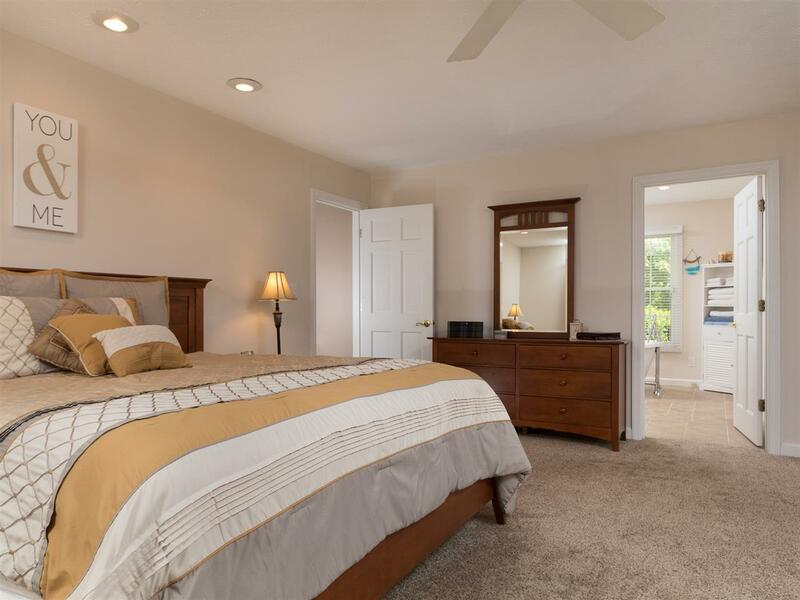 Large, main floor owner&apos;s suite with full bath including soaker tub, shower, double vanity, tile flooring and walk-in closet. 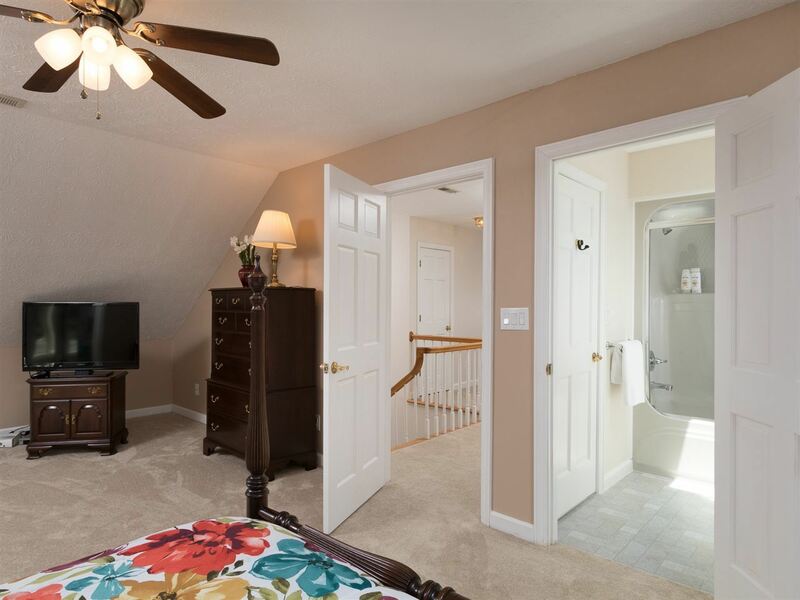 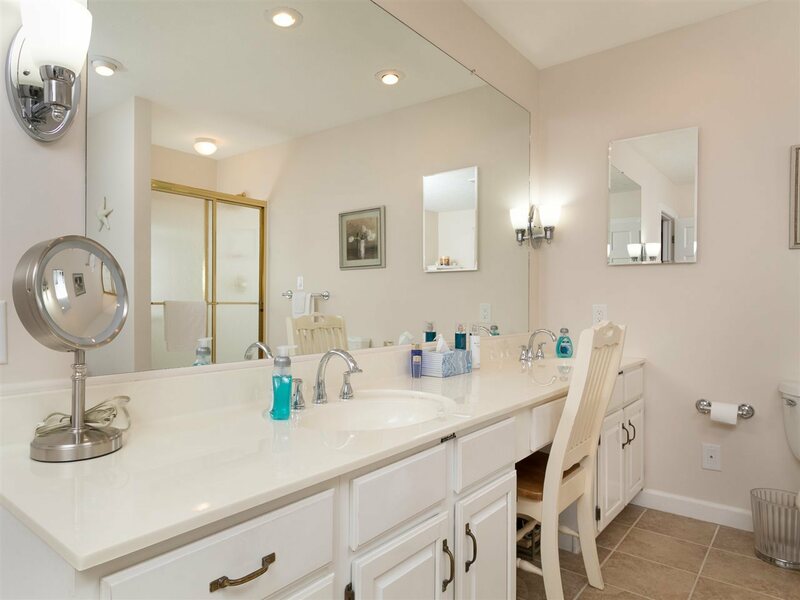 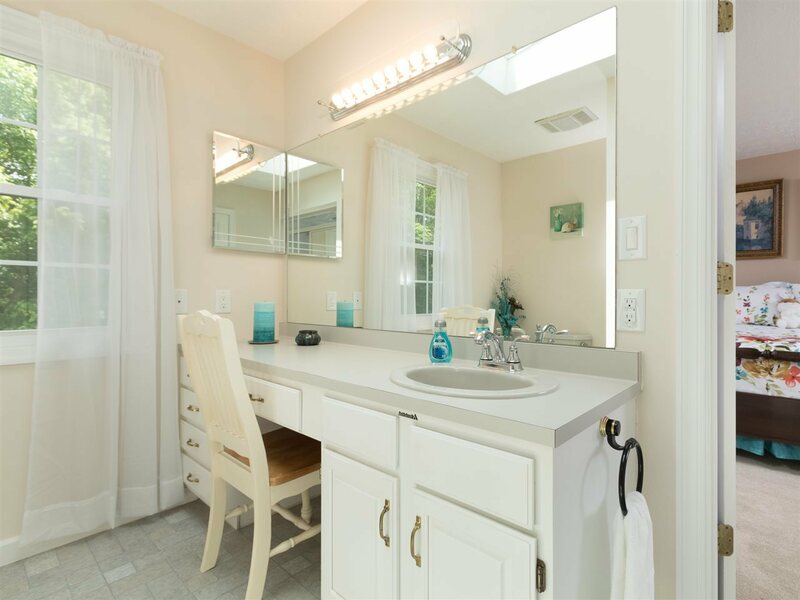 The powder room and laundry room both with tile flooring round off the first floor. 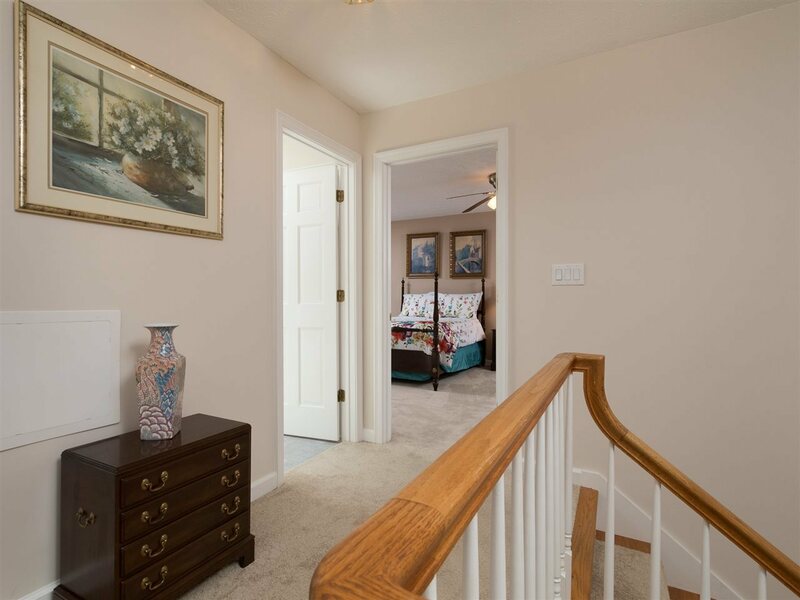 The second level offers three equally spacious bedrooms with one having private access to the second full bath. 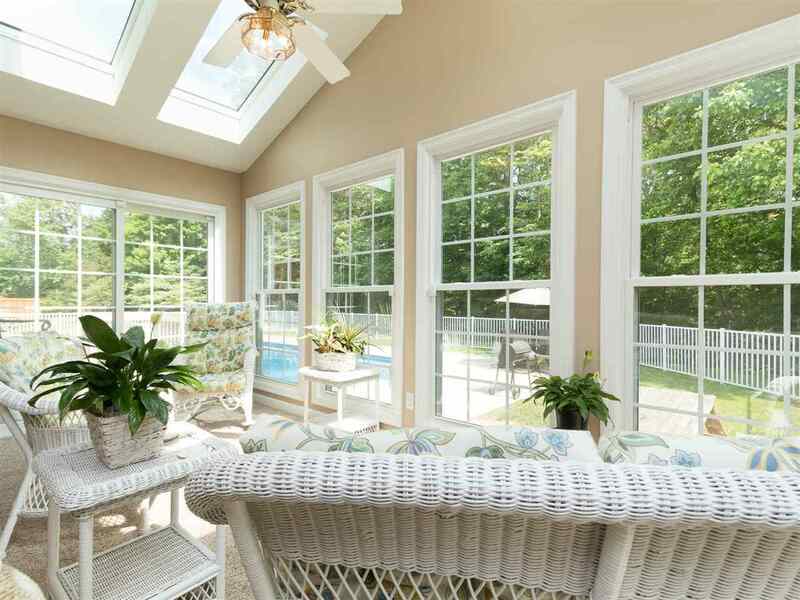 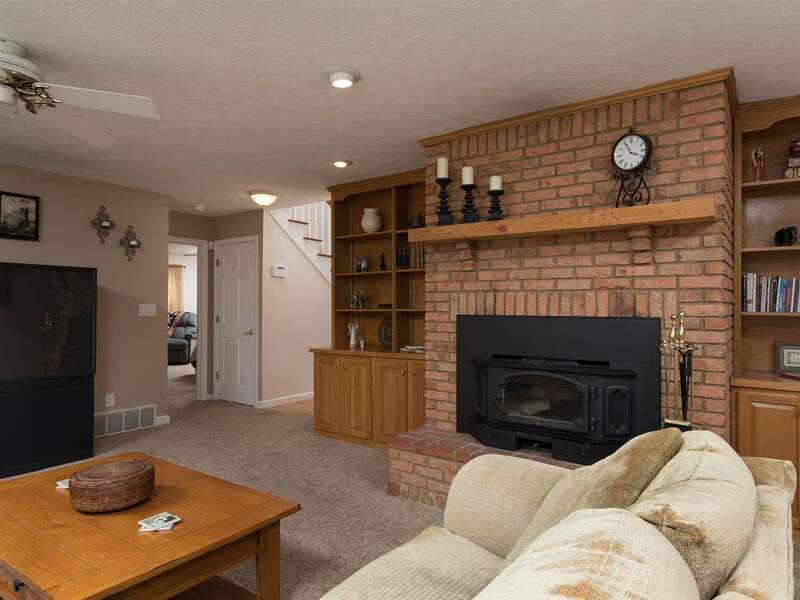 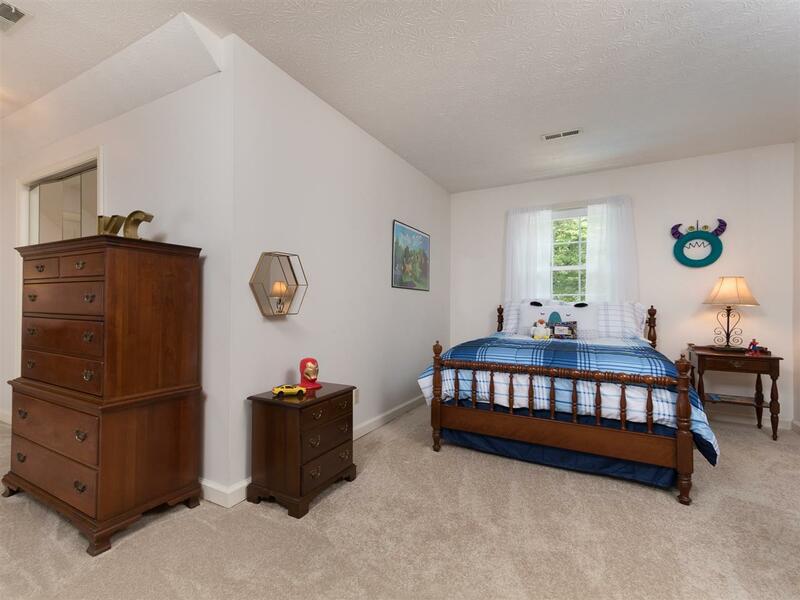 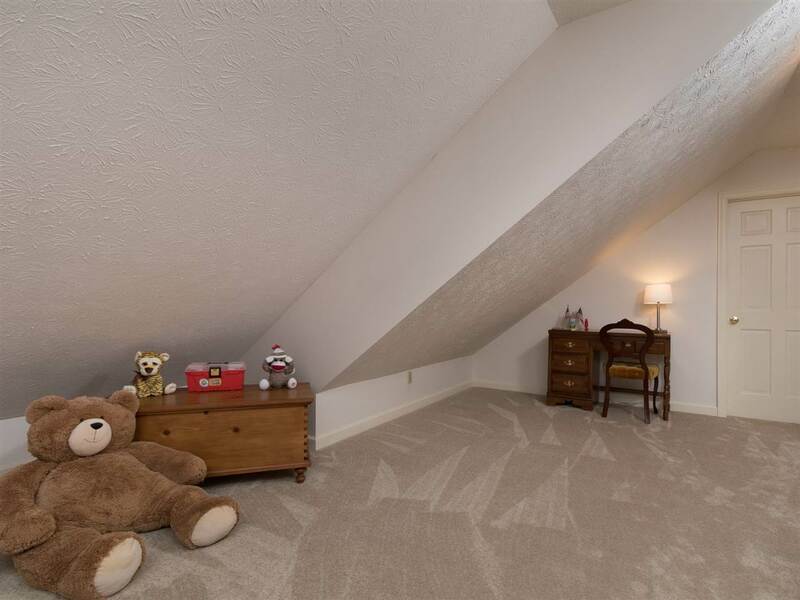 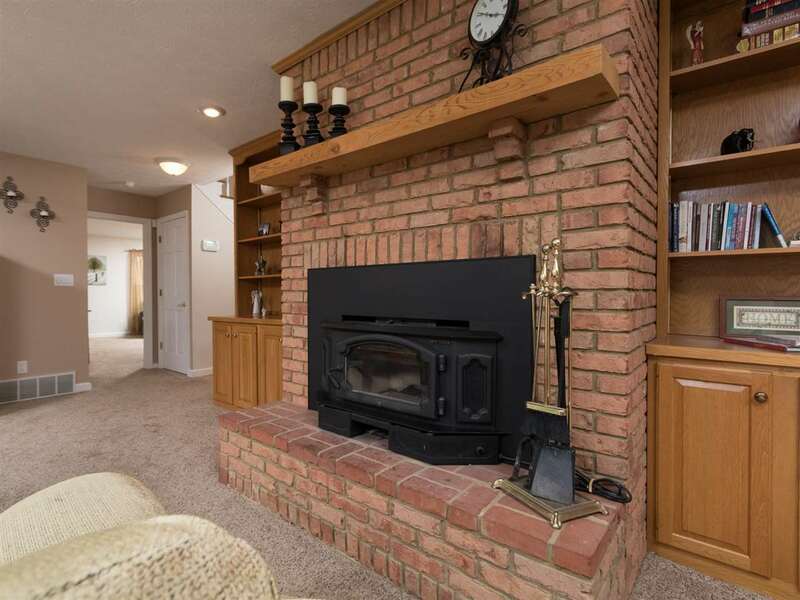 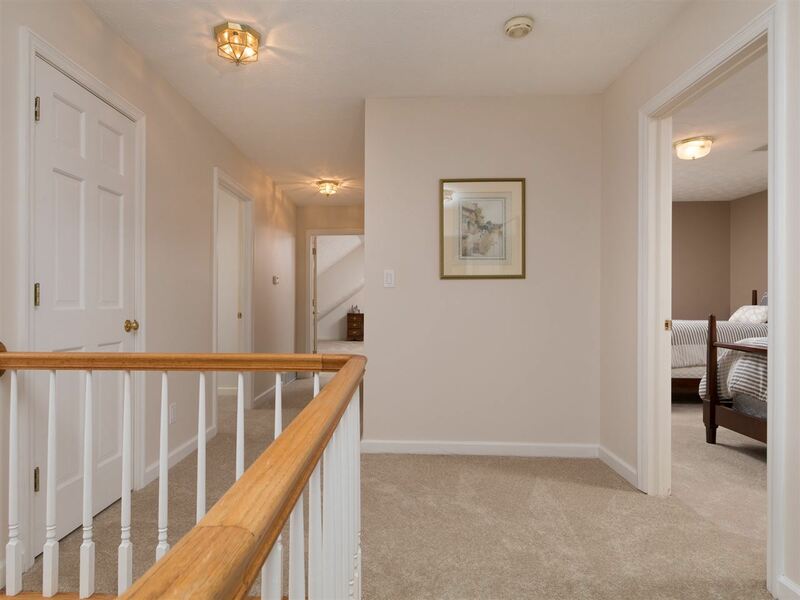 The upper level also offers a den and a tremendous amount of walk-in storage. 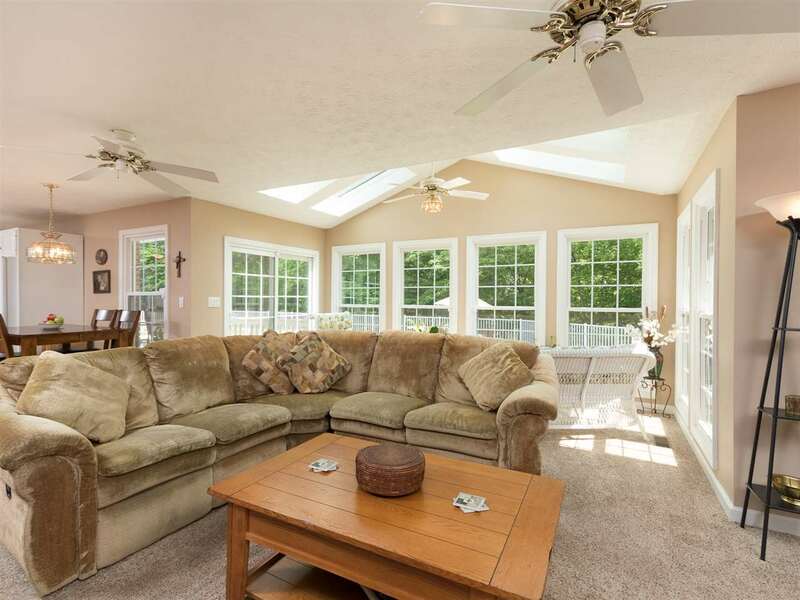 Envious, two car plus garage plus lots of off-street parking. 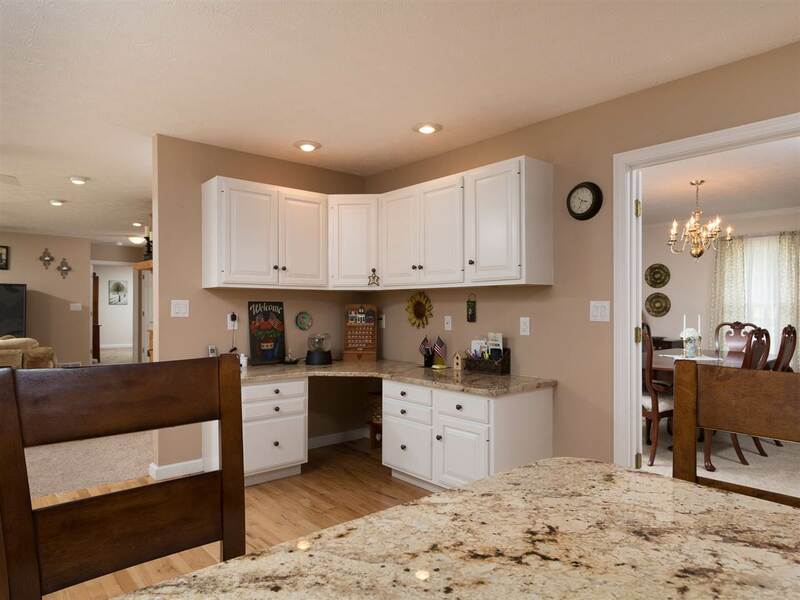 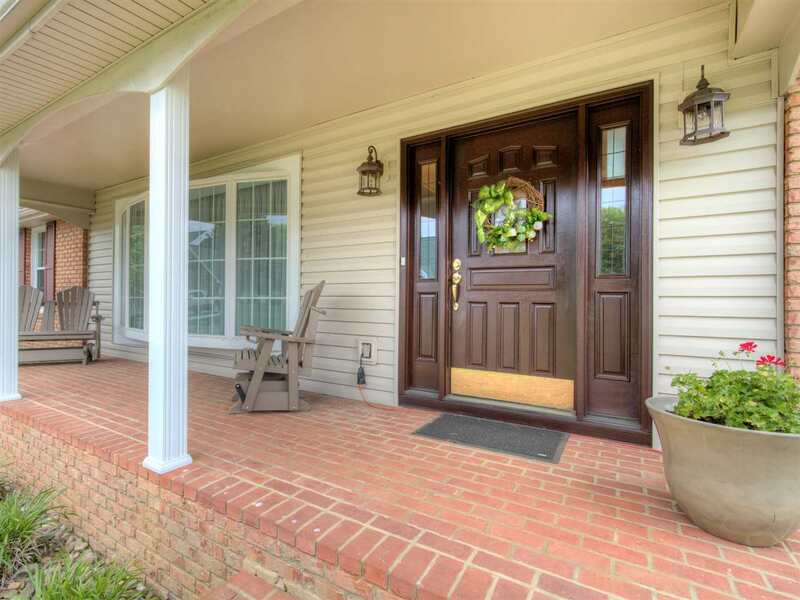 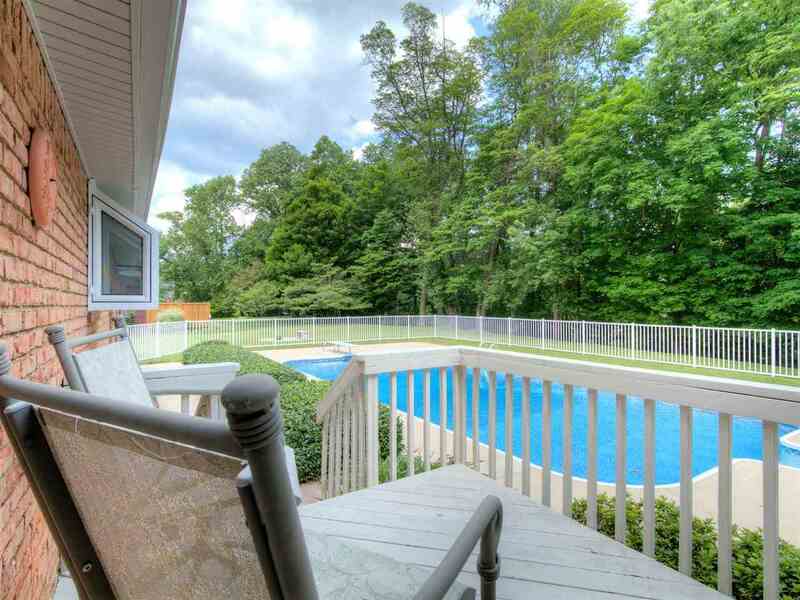 This home has had lots of updates from top to bottom and is in absolute move-in condition. 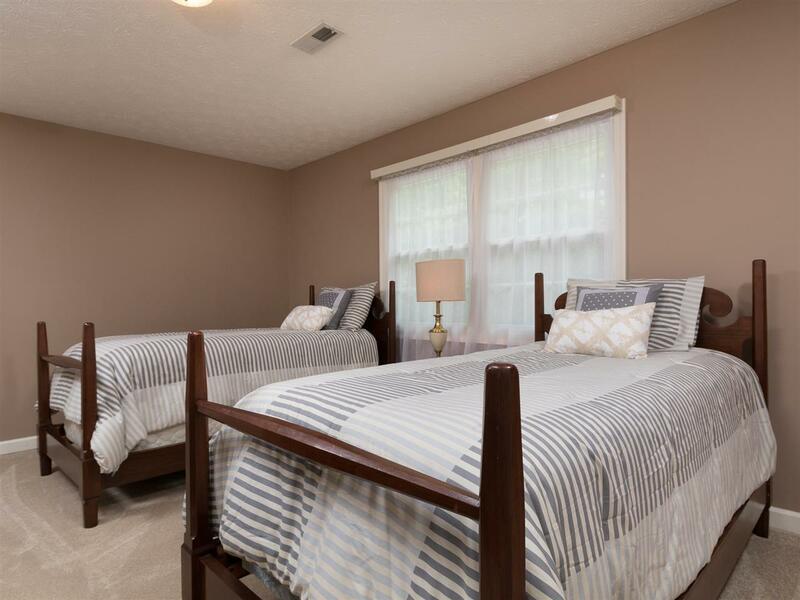 Don&apos;t miss out on your chance to own one of the premier homes at Esquire Country Club that offers both a view of the golf course and of the river!